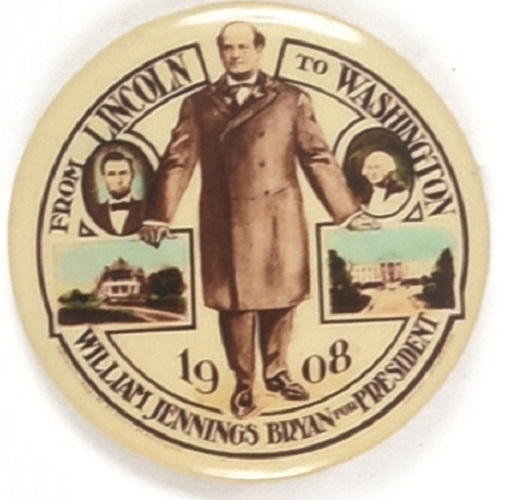 A clever and rare William Jennings Bryan campaign pin from 1908. The pin pictures Bryan with Abraham Lincoln and George Washington. It also pictures Bryan’s home in Lincoln, Nebraska, and the White House, where he planned to move after the election. As things turned out, he had to stay home in Lincoln. This 2 1/4 inch celluloid is in excellent condition.